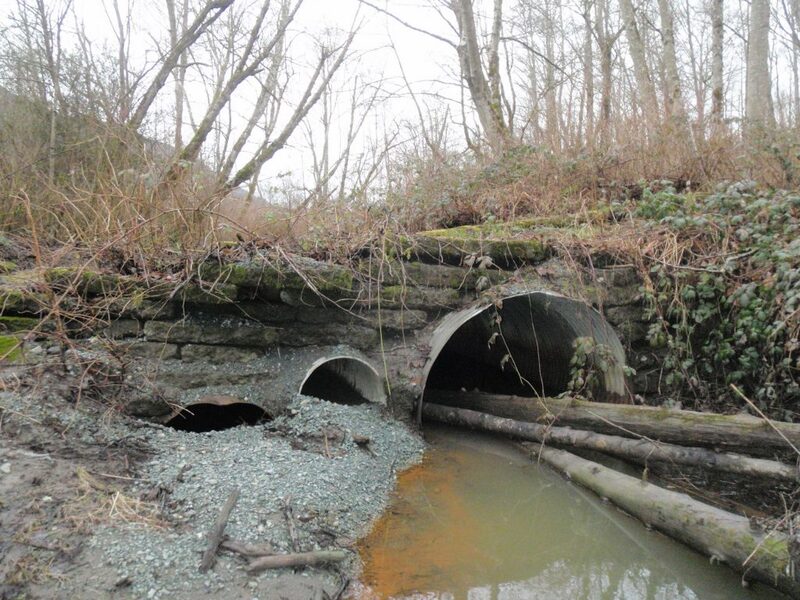 Like other RFEGs around the state, the Skagit Fisheries Enhancement Group works with landowners in our community to remove barriers to migrating salmon and steelhead by fixing broken culverts or replacing culverts with bridges. This habitat restoration work has an immediate benefit for salmon and steelhead and often provides an added benefit to landowners by improving access to their land. Over the last 25 years, the Skagit Fisheries Enhancement Group has worked with over 60 landowners to restore access to over 75 miles of upstream habitat for young fish and spawning adults. 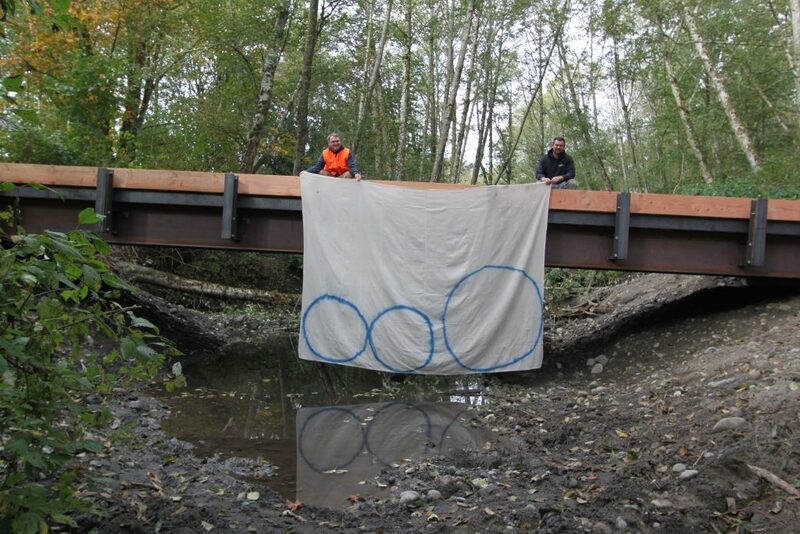 Last September, the Skagit Fisheries Enhancement Group worked with local landowners to complete its latest fish passage improvement project on Upper Day Slough. This important slough along the middle Skagit River had three failing culverts which blocked fish passage to 2,000 feet of high quality habitat. These poorly maintained culverts had long been an impediment to chum, Chinook and other fish moving through this Skagit River side channel. Work to replace the old culverts with a new bridge structure was completed this fall with grants from the Salmon Recovery Funding Board and Puget Sound Energy. Water flow has been greatly improved and fish are readily using the new migration corridor.